Matt Herndon solves problems. When problems are complicated and clients need help findings effective and efficient solutions, they call Matt who serves up the perfect answer without overcomplicating. He meets his clients exactly where they are and then guides them to useful results. This is why Matt has so many long-standing clients, including the Children’s Museum of Denver, CollegeInvest, Pinnacol Assurance, and Summit County Public Health. Matt is celebrating his 10th year working at Corona and his 12th year in the market research industry. He was first attracted to Corona because it was good way to blend his math skills, market research education, and business sprit. Additionally, Corona’s founder and long-time CEO, Kevin Raines, was a hard-core Kansas City Chiefs fan, so that was a good sign. 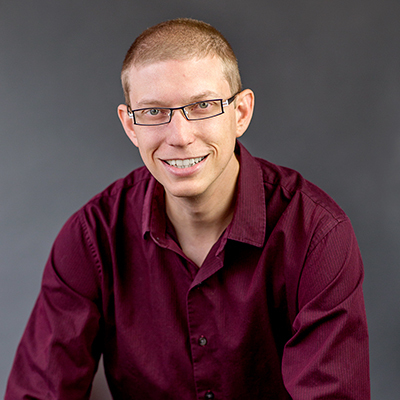 Not only does Matt solve clients’ problems, but he also optimizes Corona’s internal procedures. From amping-up our technological capabilities, to writing computer code, to ensuring the data we collect is secure, Matt always helps us work smarter and better. If you want to know what makes him tick (besides bratwurst), keep reading. Over the years, some of Matt’s favorite projects have aligned with his personal interests. Matt enjoys theater and live music, so of course he has enjoyed working with clients such as Swallow Hill Music and Denver Arts and Venues. Also, Matt has two pets, so it was fun for him to help Camp Bow Wow understand what people love about their dogs. What else does Matt finds rewarding about working at Corona? Teaming up with co-workers. Matt partners with his long-time friend and fellow Corona principal David Kennedy on many projects; they have complementary skills and personalities. Together, this duo has completed dozens of engagements for clients such as Denver International Airport, Colorado Ski Country USA, and the Denver Zoo. When thinking about the future at Corona, Matt is excited to see the development of new, creative, and efficient project approaches and methods. He likes to learn new things and be on the cutting edge of technology, so Matt will continue to be Corona’s go-to for keeping us on the thin-edge of what’s possible. 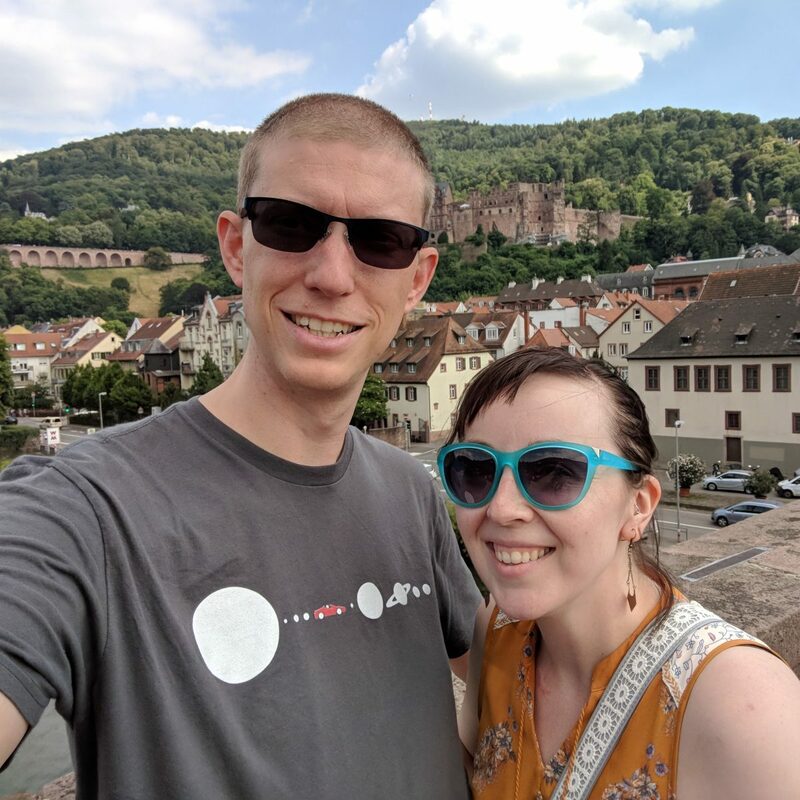 Matt and his wife, Kelly, in Heidelberg, Germany. When not working, Matt is likely to be engaged in one of his many hobbies. He’s a sports fan who roots for the Colorado Avalanche hockey team and Colorado Rockies baseball team. But when it comes to football, he bleeds red and yellow, the colors of his home-state Kansas City Chiefs. Of course he likes the classic Colorado outdoor recreation activities such as skiing, camping, and backpacking. Last summer, Matt traveled with his extended family to Heidelberg, Germany where his dad had been stationed over 40 years ago and where his brother was born. Matt is also an arm-chair space explorer and fan of SpaceX (and its bold leader Elon Musk). Who knows, maybe Matt’s next family vacation will be out of this world. Matt selected the Dumb Friends League as his recipient of Corona’s $500 donation. 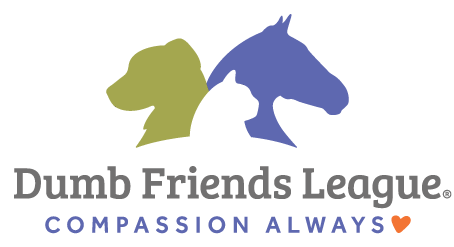 In a former engagement, Matt saw first-hand the tremendous value and positive impact this organization has on animal welfare in the Denver Metro Area. We’ll learn more about the Dumb Friends League in an upcoming blog.